This is something I actually wrote on last year that is now coming further to light. John Podesta may have seriously violated federal law by not disclosing stock issued to him by Joule Unlimited Technologies. This is a company that is in part financed by a Russian firm. When Podesta left the board of Joule, he was issued 75,000 shares of common stock. This was as he was becoming President Obama’s special counselor. When entering office, by federal law, he was supposed to disclose that stock. It’s not a minor thing that he would have overlooked either. I definitely believe he is guilty of hiding this. Rep. Louie Gohmert is calling for an investigation into Podesta’s ties to Russia. They go much deeper than this and I have long wondered and written why those ties were not exposed. Podesta sat on the board of the Putin-connected energy company alongside Russian officials who received $35 million from a Putin-linked Russian government fund. If that doesn’t spell corruption, I don’t know what does. It’s ironic that they go after Trump on Russia, when the Dems themselves are deeply involved with them. You don’t have to like someone to do dirty dealings with them. 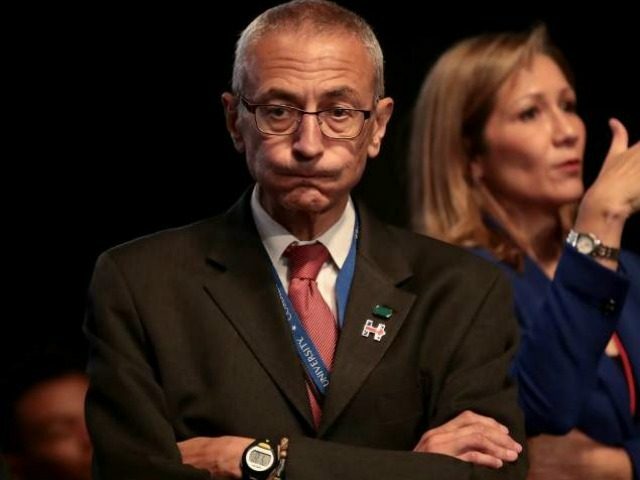 The very same year that Podesta joined Joule, the company agreed to accept $35 million from Rusnano, a state-run and financed Russian company with close ties to President Vladimir Putin. Russian money and influence is quickly becoming a counterintelligence concern for America. The existence of the 75,000 shares of Joule stock was first revealed by the Government Accountability Institute report issued last year. WikiLeaks uncovered some of this and exposed it last year during the campaign. I would suggest that Podesta’s dealings with Russia be looked at very closely. Especially considering Hillary Clinton’s dealings there.